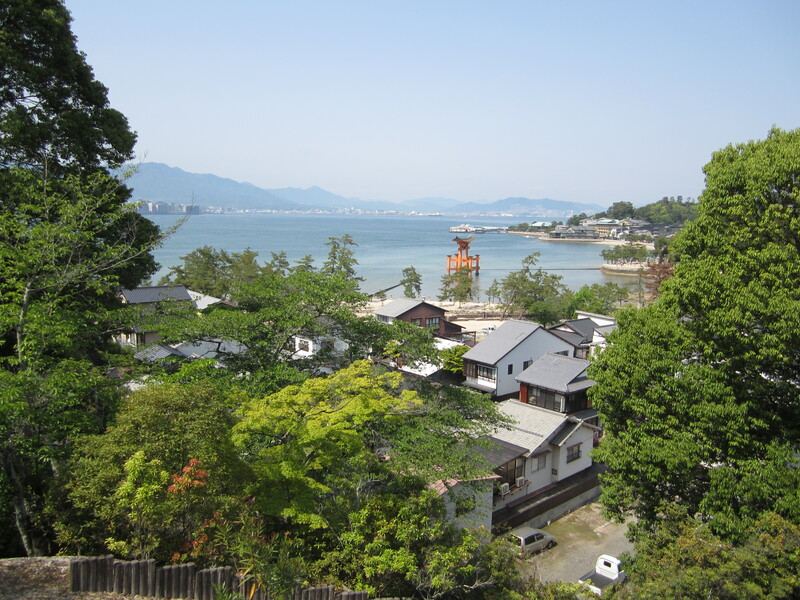 We took the bullet train west to Hiroshima and checked into our hotel. We then headed a little bit south around the bay. 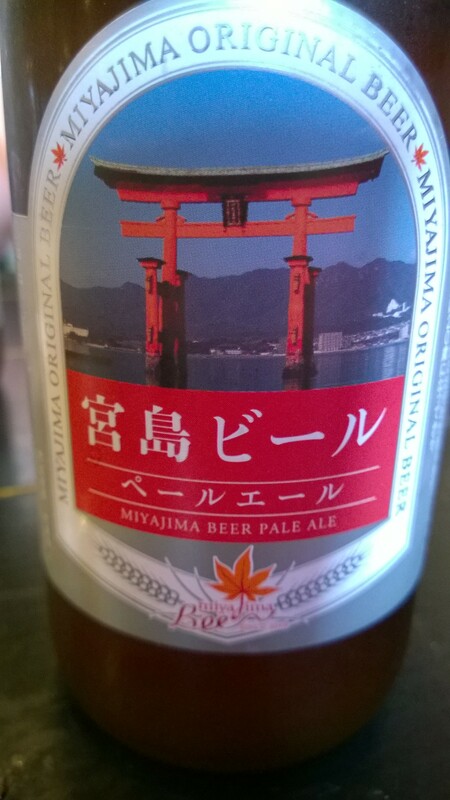 It was almost like a Red Hook beer from Seattle. Yummy! 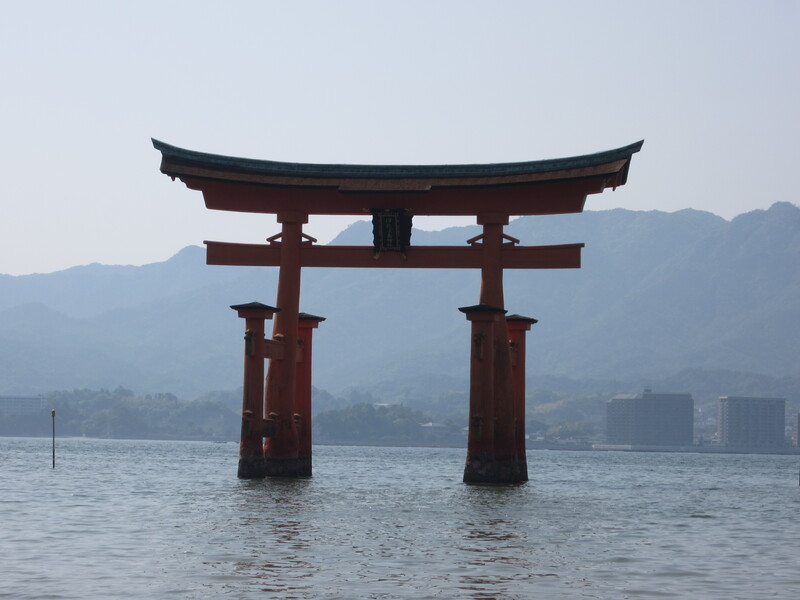 We then took the ferry over to Miyakima Island to check out the famous Itsukushima Shrone for the Torii Gate in the sea. 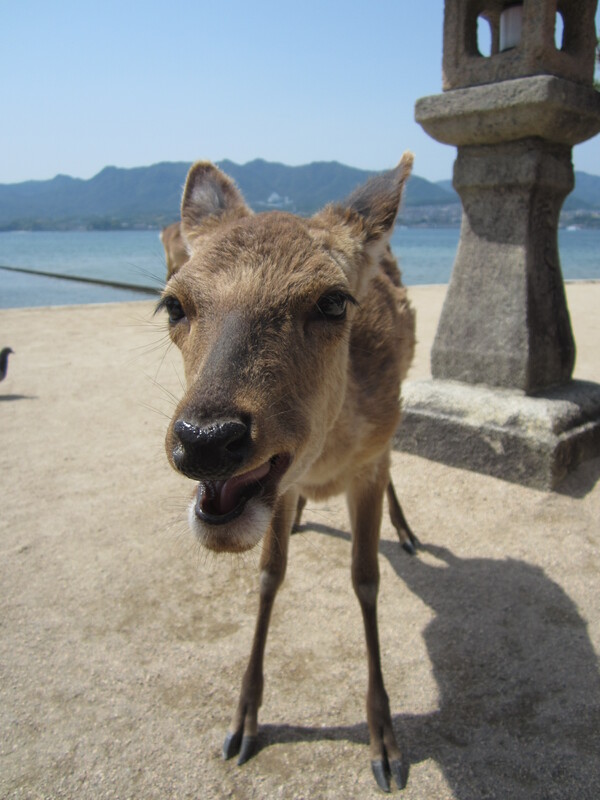 Also a surprise on the island were the tame deer. They just hung out and took naps under the trees with no concerns at all. 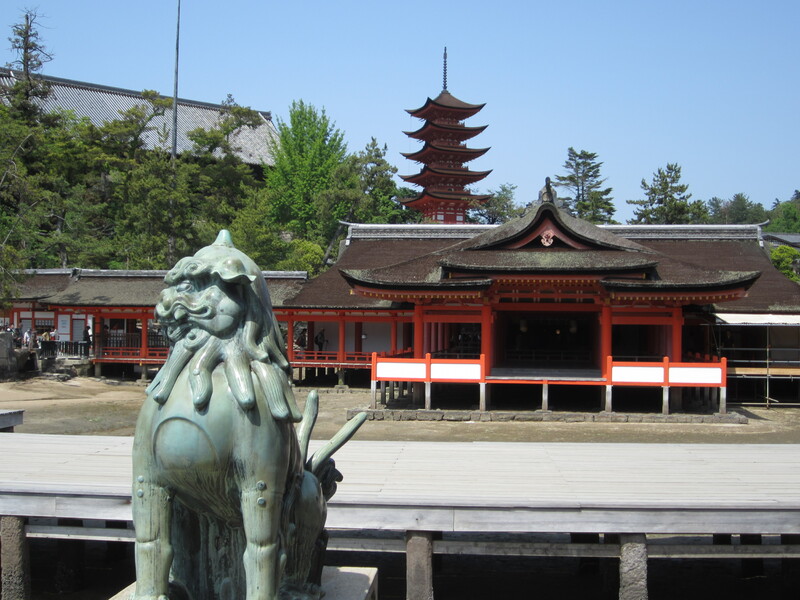 Unfortunately, high tide was not until 7:00 PM so we were not able to experience the shrine floating on the water, but it was a nice spot to visit and take in the intent of the temple. 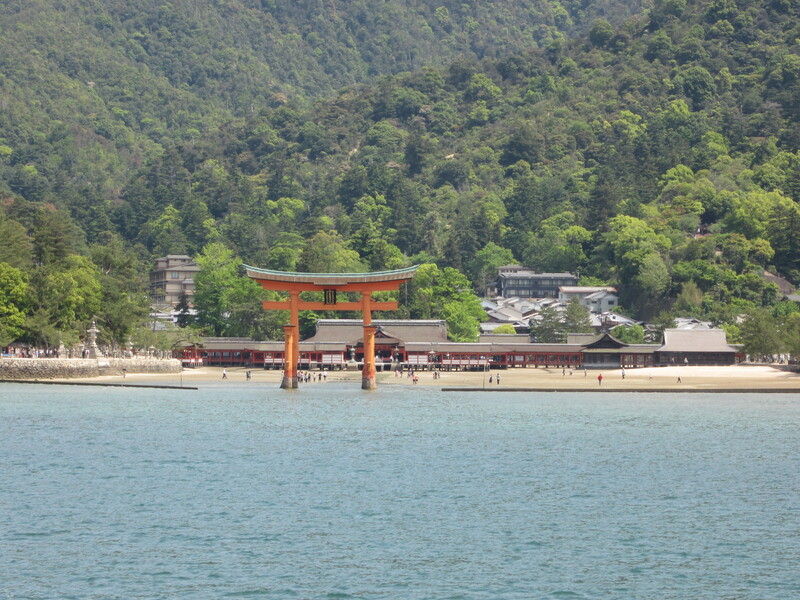 Very popular island only a half hour away from the center of Hiroshima by train. 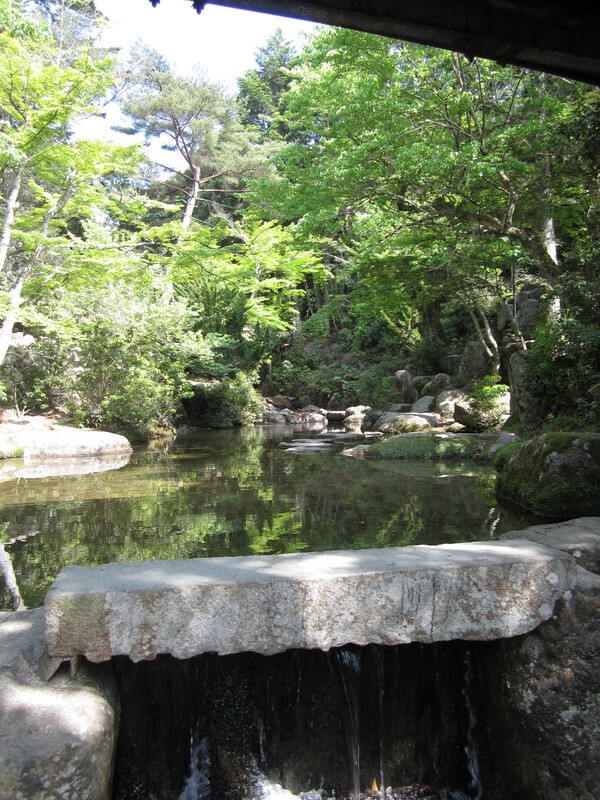 After visiting the shrine, we took a nice nature hike around the village to visit the pagodas and Zen streams. We took it easy since it was pretty hot and sunny…but the cool trails were a nice way to relax. 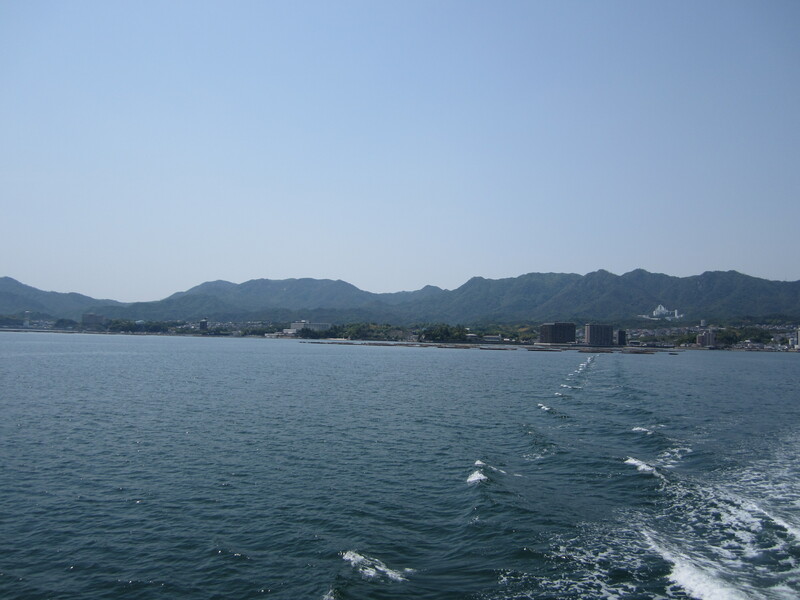 Coming back to the ferry port, we walked back along the shore and barely made it back before being trapped by the ocean coming in. 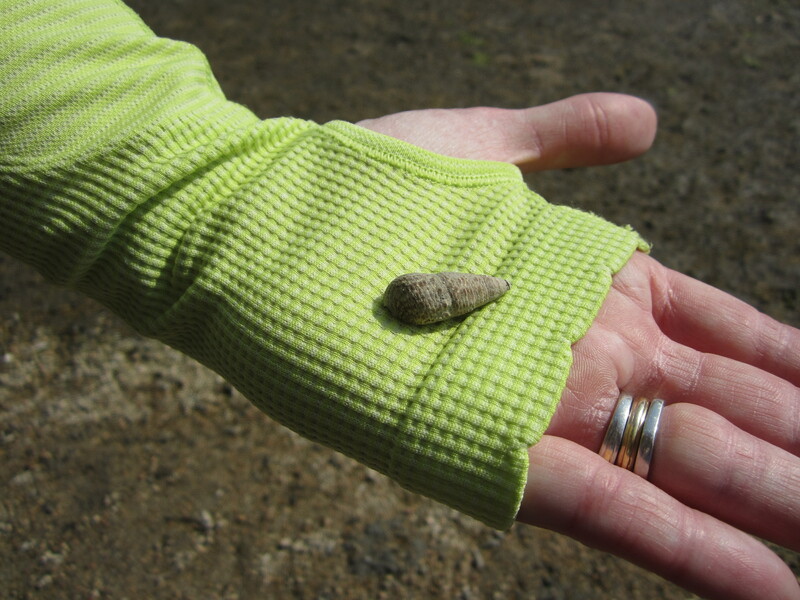 The cool thing is we got to observe all the miniature crabs and millions of tiny nautilus that were still alive. Always an adventure! One thing I must admit has been nice in the hotels in Japan is the fresh slippers and kimonos to wear in the room every day. A different culture and tradition, but I must admit, you get used to it really quick! 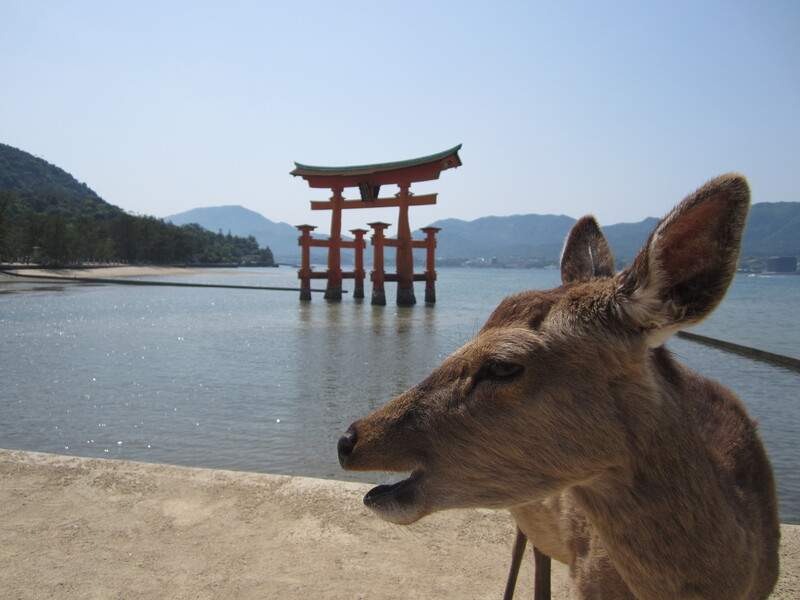 This entry was posted in International, Travel, Uncategorized and tagged Hiroshima, Japan, Travel. Bookmark the permalink.